THIS TOURNAMENT IS OPEN TO MITES-MIDGETS FOR THE BOY’S DIVISIONS AND 8U-19U FOR THE GIRL’S!!! Tickets Available for Lehigh Valley Phantoms games on Friday night!!! Tickets are $20 each, or at least $3 off what you can pay at the cheapest group rate possible, and $10 or more cheaper than regularly purchased seats. The game is at 7PM and you are guaranteed to not have your games scheduled within 2 hours of the AHL game in question to ensure proper travel time and preparation for the event. Providence vs. Lehigh Valley will be the game on Friday night the 28th! Any team purchasing tickets through us will have their organizations name put up on the video board, and be afforded the opportunity for an on ice picture after the game! There are LIMITED tickets, and they are first come first serve. So don’t be left outside in the cold, be INSIDE in the cold! 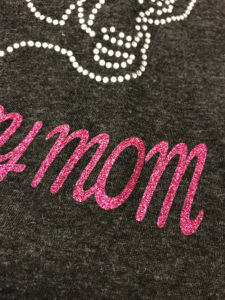 Enjoy our wonderful apparel available by purchase on site, or customization is available when pre-ordered!!!! To see what is available, click on our order form here! DEPOSIT AND ROSTER DUE UPON REGISTRATION! USA Hockey Official Team Registration/Roster Form (1-T), stamped & registrar signed, is required once your registration has been submitted. Atlantic District teams are required to register and play in the same division and classification as depicted on your official USA Hockey roster. Out of district teams that register below their designated division and classifications will be placed after careful review. Submit to rosters@travelchamps.com – In the subject line of the email please include your Team Name and Division Registered for the tournament. ADDED PLAYERS AND ROSTER CHANGES MUST BE TURNED IN 24 HOURS PRIOR TO PUCK DROP OF YOUR FIRST GAME. ANY ROSTERS AND/OR CHANGES NOT SUBMITTED 24 HOURS PRIOR TO PUCK DROP FOR YOUR TEAM MAY RESULT IN TOURNAMENT DISQUALIFICATION FOR USING INELIGIBLE PLAYERS. Players may only play if their name is on the Official stamped & registrar signed USA Hockey roster submitted. All players must be on one USA hockey roster. It is necessary for players to sign the Official USA Hockey (T-1). Players will be required to “sign in” one time at tournament. Plan on playing your first game Friday at 10:00 AM. We will do all we can while scheduling to make sure that the teams that are traveling the farthest can accommodate same day travel time. NOTE: This is a TIER II – Atlantic District USA Hockey sanctioned tournament for AA, A, B and C divisions where applicable. Any LIAHL teams that play in the MILNER divisions must register in the AA divisions for this tournament. Unless otherwise declared, TIER I AAA teams are ineligible for this specific tournament. 4 game guarantee! 13 Minute Periods! Tournament T-shirts available by pre-order as well as during tournament. Mite divisions play on either cross-ice or half-ice games. Before registering your team, explore your hotel options below! Important reminder; each team who registered is required to select a hotel from one of our hotel partners. Help us make the tournament an all around success! Hotel prices may vary from tournament to tournament. Nightly rates are displayed in the Hotel menu and the Registration tab under Hotel Preferences. Stay in central location in the Allentown area at the Hilton Garden Inn Allentown West hotel in Breinigsville, PA. Situated off Route 100 in Breinigsville, our Lehigh Valley hotel is close to PA towns such as Fogelsville, Topton, Fleetwood and Trexlertown. Our hotel is under 10 minutes from key corporations including Amazon, Nestle and Coca-Cola. Lehigh Valley International Airport is only 12 miles away. Enjoy our complimentary shuttle for corporate travelers within a 5-mile radius and our free Lehigh Valley Airport shuttle. Please call the hotel for shuttle availability since it operates under limited hours. Enjoy complimentary wired and wireless internet access to make your trip to the Allentown area successful, whatever the reason for your visit. Flexible meeting space, leisure facilities and a delicious cooked-to-order breakfast make this Hilton Garden Inn hotel in Allentown the natural choice. In our wonderful Marriott property we have 38 QQ rooms, as well as 17 extended QQ (sofa bed) and 39 KSS. We also have 9 King suite available for booking. Our hot tub and pool are unfortunately seasonal and only available from Memorial Day until Labor Day. While you are staying on one of our 3 floors you can enjoy the complimentary buffet breakfast according to all of our guests on the group rate. We can also help you with suggestions for other meals, as there are no other meals or bars available on site. Also, unfortunately we do not have meeting space available for teams or groups. There are 106 rooms in this 4 story masterpiece! 43 DD although there are no suites on property. There a whirlpool attached to the indoor pool for those times when you need to wind down. Meeting space is available upon request and IF available.This room can be booked for a charge of $250 plus tax. Also, outside food and beverage is NOT allowed into the meeting space. There is catering on site thus why we do not allow outside food into our meeting areas. We have a bar at our hotel, and on site laundry for your team’s needs! Come Visit the Foundry Restaurant and Tavern!! A wonderful Modern bar with a well rounded cuisine that is available for all 3 meals. We have over 190 rooms that are totally ready for your team to come and have an outstanding experience! We have an Olympic sized outdoor pool, as well as an indoor pool at our sister Hampton right next door! You can obtain a full hot breakfast buffet that is included in your low group rate! We do have meeting space available and the rates will vary for that based on use and availability. Located one mile from the Lehigh Valley International Airport, our eastern Pennsylvania hotel provides a friendly lodging choice for guests. Our hotel located in Bethlehem, Pennsylvania is minutes from Moravian College and Lehigh University. Visitors are sure to enjoy their vacation while lodging in our Lehigh Valley International Airport Holiday Inn Express, which is close to many area attractions. The new PPL Center, home of the Lehigh Valley Phantoms, Dorney Park and Wild Water Kingdom, the Crayola Factory and the exciting Sands Casino Bethlehem are just a few of the attractions that are within easy driving distance of our hotel. Our Bethlehem location provides a relaxing and pleasant environment for business travelers alike. All rooms have microwave and refrigerator. Enjoy the outdoor, heated pool and our well-equipped Fitness Center during their stay. We also provide free high-speed, wireless Internet access, so our guests can stay connected with family or business associates. The complimentary Express Start Breakfast buffet is enjoyed every morning and features hot entrees, made to order pancakes, Continental favorites and cinnamon rolls. We hope that you will take advantage of our great hotel deals and make your reservations for our Bethlehem Airport-Allentown Area Holiday Inn Express today! Please come enjoy our outstanding property known both for it’s suites… and it’s comfort. All 124 rooms are mini suites in our four floor property made to impress our guests. Depending on the availability, we can also give your team a FREE meeting space to get together and enjoy the tournament experience in a moment of togetherness. In addition to our hot buffet breakfast available with your room rate, we do have dinner available starting at 5PM, with room service being offered until 10 PM. Our onsite bar has it all, and is available every day of the week but Sundays. 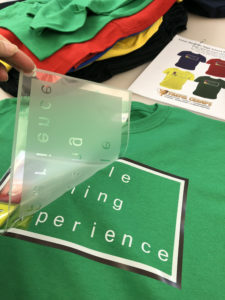 There is always laundry available for the use of your team, although we do have a limited number of machines that may not allow for this amenity to be of use to you. Come and enjoy one of the best hotels in the Lehigh Valley! 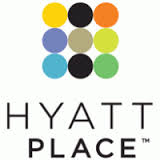 If you are looking for class and comfort, look no further than the ideally located Hyatt Place. Directly in the middle of where you need to be for your tournament needs, the Hyatt Place is a 6 story building with 124 rooms, 40 of which are QQ. We also have very nice, larger corner King rooms as well for those who are looking for a suite-TYPE feel. We do have wonderful amenities such as a well kept indoor pool. We can offer complimentary meeting space IF available for a quick one hour team meeting. If any teams would like to hold a team dinner, there is a rental cost and catering details we are able to send out to the client. We also offer complimentary parking directly across the way from our property. Each family would take a ticket upon entering the parking deck and then our front desk staff will validate upon departure. We also do include breakfast in our outstanding group rate, and though there is no restaurant on site, we are within walking distance of all of Bethlehem’s restaurants. There is also food made to order 24/7 on site, as well as a bar that is open from noon until midnight! Come spread out on our 4 floors, with a selection of 138 rooms, with 98 Kings w/sofa beds, 36 Double queens, and 4 Suites fit for a king! There is an indoor pool and spa where you can relax and let the worries of the day soak off, as well as 2 meeting spaces which teams can use. $100 plus 22% service charge for use of the rooms in question. Breakfast not included in rate. Breakfast options available at hotel 7-11am Saturday/Sunday, 6-10am Monday-Friday. There are plenty of area lunch options and we open back up for dinner and drinks in the evening. Feel at home by using our on site laundry. We cater meals for the team in our dining room or our Navigator room. Please book early. Reward yourself with Marriott Reward Program. Spacious lobby to connect with friends and family. Our beautifully situated and adorned 3 story hotel will wow you with our staff’s excellence and commitment to your great stay. There are 49 QQ rooms and 58 KSS rooms spread out. We do have an indoor pool available for the family to enjoy! Live in style for the weekend as you enjoy our breakfast that is CAN be included in your group rate but IS NOT automatically. Please request to see how this would affect your groups rates. The bar is open from 5-10 7 days a week. and the restaurant is available for breakfast and dinner. Laundry is available on both floors, and we can offer meeting space to your team, and the costs for those rooms range from $200 up! Come and enjoy the Lehigh Valley! A spacious 3 floor hotel with 175 rooms, including 86 DD, 64 Kings with a Sleeper Sofa, and 2 Jacuzzi Suites!!! For Columbus Day, hopefully you still have the opportunity to enjoy the outdoor pool! Breakfast is typically not included in the rate, but can done so by request. There are several meeting spaces available, large and small. If you purchase a catered meal, the rental fee is waived, and there is a 22% service charge and 6% tax added to the final bill. Breakfast and Dinner on site, but no lunch. There is a Sam Adams Brewhouse on site of the hotel, and laundry available for your team’s needs. There is a volleyball court for family fun, complimentary cookies and popcorn available upon check in, and S’mores out on the terrace every Friday night for your family’s enjoyment!! There are 86 Rooms – 45 Studio Queen Suites (1 King Size Bed and 1 Pull Out Sofa) and 26 Studio Queen Suites (2 Queen Size Beds).. all of them suites!!! We are an all-suite property spaciously lcoated on 4 total floors. We feature in indoor pool and whirlpool spa for your enjoyment and use year round! Relax after the game, or swim around for awhile to work of that excess energy, either way it’s a ball! Also included in your rates, beyond our outstanding rates, excellent staff, and wonderful accommodations are a great way to start to day off right.. our fresh breakfast!! 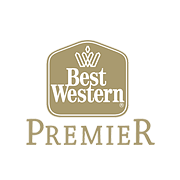 Welcome to the Homewood Suites by Hilton® Allentown-Bethlehem Airport hotel, located in the suburb of Bethlehem near Allentown, Pennsylvania, and conveniently close to Lehigh Valley International Airport (ABE). Visit top attractions such as Blue Mountain Ski Area, Dorney Park & Wildwater Kingdom, and enjoy all the comforts of home in a spacious suite including free internet access and a fully equipped kitchen. Indulge in an included hot full breakfast and enjoy friendly, helpful service at our Bethlehem hotel. Homewood Suites by Hilton® Allentown-Bethlehem Airport is close to the cities of Allentown, Bethlehem and Easton. The ideal location of our Bethlehem, PA hotel allows you to discover fantastic shopping opportunities and a wide array of dining establishments, or enjoy easy access to numerous offices and industrial parks. Included business services and meeting facilities make this a great place for your next meeting, reunion or getaway. Enjoy extended stays or short breaks at this comfortable home away from home. Come and enjoy the Lehigh Valley to it’s finest at the Holiday Inn Express! We have 4 different types of suites available, as well as 3 floors of QQ’s well set up to accommodate your family and team needs. We do have an indoor pool, so rain or shine you can splash around and relax. You also have free access to the Planet Fitness that is a mile away from our venue, as well as way to start the day off right with our complimentary breakfast. Meeting space and pricing is based on availability and use. BRAND NEW HOTEL!!! In 5 luxurious floors, we have 132 Studio Suite Rooms, with 2 rooms types of 83 King Suites and 49 Queen Queen Suites. Our property is an all-suite hotel, so you will always feel the class and comfort during your stay. Indoor saline pool heated to 80 degrees year round with a connecting outdoor patio, though there is no hot tub. Complimentary Hot Breakfast including Eggs, Breakfast Meats, oatmeal with 9 different toppings, yogurt, muffins, bagels, sweet breads, croissants, MYO Waffle Station, sliced fruit and whole fruit. One Banquet Space of 780 square feet, with the capacity to hold a maximum of 50 people, there are floor to ceiling windows and an 82 inch TV available for Hook up with a fee. We have catering options available. The space is available to teams if they space is open, and there is a fee for teams to use the space. There is a Guests Lounge in the Lobby which opens at 5pm daily with a full bar and lite fares, (no outside alcohol is permitted in the lobby.) 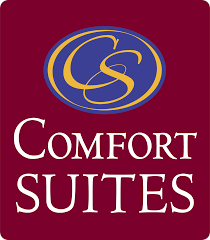 We have coined operated guest laundry located on floors 2 and 4. All of our suites include a Queen Size Sofa Bed, Coffee-Maker, Microwave, Mini-Fridge and Smart TV. Guests will also have access to our Complimentary Wi-Fi throughout the Hotel, Fitness Center, Business Center and our 24 Convenience Market in the Lobby. Lay your head on one of our comfortable beds! We have 100 total rooms, including 48 king standards and 29 2-queen standards. There are 26 suites amount our 3 beautiful floors. Breakfast is included in our group rates so that you and your teams can start their day off with a complete meal! We have 2 different meeting spaces that are available for teams to use, but they are based on a first come first serve basis. There is not a restaurant at the property, but there is one right next door with lunch and dinner options. After the days’ games come relax at our indoor pool before you get a complete night’s rest! 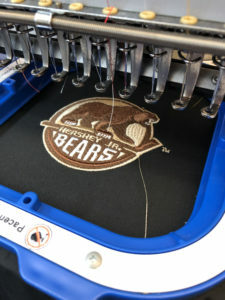 If you are looking for quality, you’ve found the right place! We have 5 floors of beautiful rooms, encompassing 97 total rooms spread out among several different types and suites. Ergo, we can fit in teams that have multiple different types of needs. We do have an indoor pool for the families enjoyment as you have free time during your tournament weekend when you aren’t out exploring the Lehigh Valley. There is a meeting space, though there is a charge to use the meeting room or ballroom. We do have catering through an outside caterer or you are welcome to bring your own food. We only have breakfast available at our hotel, though it is included in the rate which your group is paying for the tournament. The bar is available Monday-Saturday and though we don’t laundry at the hotel, there is a establishment right next door for laundry and dry cleaning. Just off Route 78, and only 20 minutes from Lehigh Valley International Airport (ABE), Allentown West/Fogelsville offers a country welcome in the bustling city. Spacious suites come in a variety of options, from studio to two bedrooms. Living areas are light and airy, and marble counters in the bathroom add a touch of elegance. Indulge in an extra 10 minutes of rest in a king- or queen-sized bed, knowing that your hot full breakfast is included every morning. A full kitchen at Homewood Suites by Hilton Allentown-West/Fogelsville, PA is exactly that – a full-sized refrigerator, double-burner stove, microwave and coffeemaker. Stock up on your favorites from our 24-hour snack shop, or call us in advance and your groceries will be in your suite when you arrive. Get to work with included high-speed internet access, or relax in front of the 32-inch flat-screen television. Two LCD TVs in the suite ensures no fighting over what to watch. Ideally located adjacent to the PPL Center, just minutes away from attractions like the DaVinci Science Center and Coca-Cola Park, our full-service hotel offers the perfect combination of contemporary style, superior amenities and personalized service in the center of downtown. Whether you’re visiting Lehigh Valley for business or pleasure, the Renaissance Allentown offers guests well-appointed rooms, luxurious amenities and a central location near top area attractions and business centers. Relax with spacious accommodations, elegant event venues, complimentary Wi-Fi, valet parking, and so much more. From inspiring city views to expert concierge services, it’s all waiting for you at our full-service hotel in the heart of historic Allentown. Our beautifully situated and adorned 3 story hotel will wow you with our staff’s excellence and commitment to your great stay. There are 120 QSS rooms spread between 2 buildings and all of those are suites! Live in style for the weekend as you enjoy our breakfast that is included in your group rate. There are no bars or pools onsite, although there are many options within a short distance. Laundry is available on both floors, and we can offer meeting space to your team, and the costs for those rooms range from $200 up! Come and enjoy the Lehigh Valley! Our Days Inn Allentown Airport/Lehigh Valley is the closest hotel to Lehigh Valley International Airport (ABE), and we offer free shuttle service to and from the airport. We place you within easy reach of exciting attractions, excellent restaurants, and plenty of shopping. Dorney Park, the Sands Casino, and the Blue Mountain Ski Area are all less than 20 minutes from our central location. Enjoy an excellent meal without leaving our hotel at the Jetport Restaurant and Lounge. We also offer Room Service for your convenience. With 5408 square feet of event space, our hotel features 4 meeting rooms, which can be arranged to accommodate 750 conference guests or 750 banquet guests. Plan your next meeting or special event with us. We also arrange great rates for groups — large or small. All of the rooms at our property give you a sense of complete comfort and security. All are 121 are Junior Suites, either of the NQQ, SNK, or SHNK variety. There are multiple elevators to ensure your wait to get up 4 flights will never be cumbersome. We do have an indoor, heated pool as well as a restaurant offering you a variety of dinner options, and a hotel bar. Meeting space is available for the teams that come and join us, and they range from $150-$785 plus 6% tax and 20% gratuity. Please visit csallentown.com/catering for menu options. 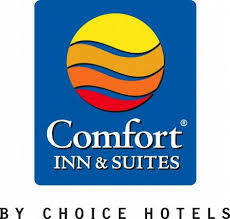 Comfort Suites Allentown is projected to rebuild and convert to a Four Points By Sheraton a Marriott Hotel by October 2018. Brand change will reflect in rates quoted for October on. We have 3 floors in our wonderful Hawthorn Suites, Wyndham’s flagship property! We have 64 total rooms spread amongst 3 floors and a mix of kings and QQ. We do include breakfast in our group rate, though that is the only meal offered here on site. We also have a small meeting space for 25 people that can be rented out, but you must provide your own food and beverage services for it. 3 Floor hotel with 26 rooms tailor made for hockey teams! There are no suites or a pool on site, although we do include a hearty American Breakfast! We do not have meeting spaces available so please consider activities that may keep the team together, but not in the hallways. Thank you and have a great day! 5 Floor hotel with 114 total rooms (99 KSS and 11 QQ) tailor made for hockey teams! We are an all suite property so you can expect the best version of class. Come relax at our indoor pool, or start your day off with our full hot breakfast bar! There is 8000 Sq ft of meeting space available, though a catering or rental fee would apply. We also have a bar downstairs for the big kids to enjoy while they are waiting for the stuff to get done in our on site laundry. Thank you and have a great day! Style and comfort blends seamlessly at the New Fairfield Inn & Suites by Marriott® Allentown West. Experience outstanding service and amenities for a stress free stay at an exceptional value. Free Wi-Fi throughout the hotel will keep you connected during your stay and our pool and fitness center will help you stay on track. Spread out in our vibrant lobby with spaces to gather, relax and work. Jump-start each day with our free breakfast, now with more hot choices like oatmeal, sausage and scrambled eggs as well as favorites including fresh fruit and yogurt. Located within a close distance to many attractions and businesses like Dorney Park, Kutztown University, Bear Creek Ski Resort, Nestle, Niagara, and Air Products. You will always find the courteous service you deserve plus all the little things you expect from Fairfield Inn & Suites during your stay. Ask us about The Fairfield 100% Guarantee where we promise you will be satisfied or we will make it right. That is our commitment to you. 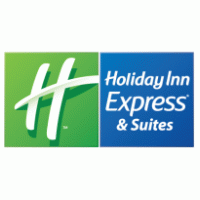 The Holiday Inn Express® Easton is nestled in the heart of the beautiful Lehigh Valley.Our hotel’s location is just off Routes 22 and 33 and I-78. You’ll find it easy to get to meetings and local attractions. Business travelers to the area are pleased by our hotel’s location in Easton, PA, our friendly staff and great services. They appreciate being near Lafayette College, Crayola LLC, Georgia-Pacific, Dixie and Lehigh University. In addition, our Business Center provides copying and faxing services, while our 8,000-sq-ft meeting space can accommodate your event or meeting in Easton, PA.
Our hotel’s also perfect for families, as the fabulous Crayola Factory, where you and your kids can release your creative genius, is less than three miles away in downtown Easton. The National Canal Museum, the Sands Casino, the Lost River Caverns and the State Theater in Lehigh Valley are nearby, so our hotel’s guests can easily enjoy a variety of activities. Other hotels in Easton, PA, just can’t compete with the hospitality and amenities that we offer. From the free wireless Internet access to the indoor, heated pool and to the comfortable rooms, we have what you want. Don’t forget there’s a free, hot Express Start Breakfast Bar to start your day, and fresh-baked cookies, fruit, coffee and juice for a quick snack. Make your reservations today to enjoy the best of the Lehigh Valley as our hotel’s guest. Tickets Available for Lehigh Valley Phantoms games on Friday night!!! Tickets are $20 each, or at least $3 off what you can pay at the cheapest group rate possible, and $10 or more cheaper than regularly purchased seats. The game is at 7PM and you are guaranteed to not have your games scheduled within 2 hours of the AHL game in question to ensure proper travel time and preparation for the event. Providence vs. Lehigh Valley will be the game on Friday night the 28th! Any team purchasing tickets through us will have their organizations name put up on the video board, and be afforded the opportunity for an on ice picture after the game! There are LIMITED tickets, and they are first come first serve. So don't be left outside in the cold, be INSIDE in the cold! 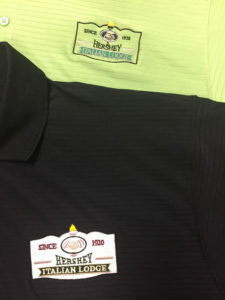 HOME/AWAY JERSEYS: Please be prepared with both a dark and light jersey. The designated Home team on the schedule will wear white (or light) jersey, the designated Away team on the schedule will wear a dark jersey. If your team only has one jersey, please contact the manager/coach of the team you are playing to decide which color they should wear. PENALTY BOX ATTENDANTS: Each team is required to have a coach/parent in their respective penalty box to assist with opening/closing of the penalty box door, name pronunciation. Game will not start until an attendant is in the box. ON-SITE CHECK-IN: There will be a registration table located at each rink. Please make sure that all team managers visit the table prior to their first game of the tournament to receive their complimentary box of candy. ROSTER STICKERS: Please bring "roster stickers" for the scores sheets- enough for 4, 5, or 6 games depending on your division x 3 stickers per game. MITES are excluded. COACHES/MANAGERS: Coaches MUST sign the score sheet after the game & take a copy for your record. 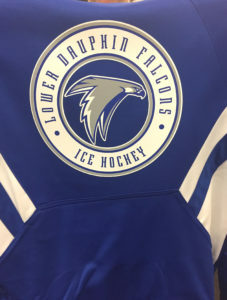 TOURNAMENT APPAREL: Tournament apparel will be available for sale at each main rink registration table. 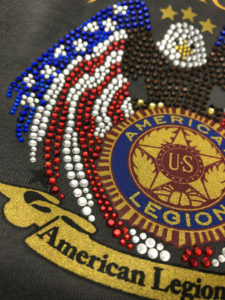 Limited sizes and quantities of performance shirts and hooded sweatshirts will be available. We highly encourage you to purchase early. Any team that pre-ordered apparel may pick up their order at the rink location of their 1st game on Friday. Please have the team manager from the team pick up the order, as it will be bagged and labeled by team. Before leaving the table, please check each for accuracy, as we cannot guarantee size replacements one you leave. GAME TIMES: Due to the tight tournament schedule, please make sure your team is ready to play 15 minutes prior to their scheduled game time. HOTELS: Be sure to keep your players supervised at all times while at the Hotels! We had an incident at a recent tournament where the Police were called. Any hotel issues will result in tournament sanctions and possible dismissal. SCHEDULE & SCORES: The online schedule will be updated throughout the entire tournament as games finish. Please bookmark the schedule on your smart phone or computer for easy access. We will have printed brackets hanging at several rinks that will be updated throughout the weekend as well. On behalf of the staff and management of Travel Champs, we wish you all safe travels, and we look forward to seeing you!